Pressed plastic pallet is more and more popular in logistic and warehouse industries. And it is also recyclable and reusable. Not merely because the features of pressed plastic pallets, but they are made of waste plastic. For the best part of a century, wooden pallets were the only option for businesses wanting to transport valuable products around the country or across the globe. However, as shipping demands have grown, there has been a massive shift in focus and biodegradable and pressed plastic pallet now dominate the landscape. According to study results published in a 2013 Modern Materials Handling magazine, 95 percent of respondents will use plastic pallets the same amount or more often moving forward. 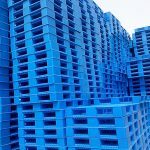 Innovation is a key part of business success, which is where pressed plastic pallet can add real value to your operations. Whether this is in regard to a better end-product or standing out at the loading zone. Using environmentally friendly pressed plastic pallets will highlight your business as an industry leader. With this in mind, here are three advantages of pressed plastic pallet made by plastic pallet machine. 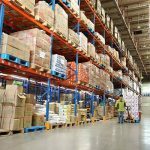 Apart from price, one of the key considerations when the customer purchasing a pallet is strength. Due to the various parts to a wooden pallet, size and strength can be inconsistent and this can lead to problems with transportation. In contrast, pressed plastic pallets are the complete opposite. 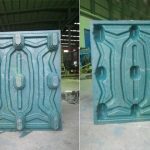 Moulded under high pressure and with strict quality control procedures, these pallets are always built to the stated size and are able to carry exact weights. Depending on where the business is transporting produce, it needs to trust that the pallet can stand up to any environment it faces. As a result, our comprehensive manufacturing process, every finished pressed plastic pallet is guaranteed to not absorb moisture. Besides, pressed plastic pallet is no mold, no worms, no decay, and corrosion resistance. In addition, pressed plastic pallet is easy to clean, hygienic and durable, and meets the requirements of health testing. While wooden pallets did the job for close to 100 years, there was always the risk that someone could suffer an injury while working with them. The main hazards included loose component parts breaking free or encountering nails, splinters or sharp edges. However, with pressed plastic pallets, these risks are completely eliminated. Structured as a whole pallet, rather than multiple pieces, there is no chance that the workers experience breaks or materials that can injure their hands. It is also important to point out that plastic pallets are protected from chemicals such as weak acids and alkalis, due to the use of polyethylene and polypropylene. This means the pallet won’t break under stress. And it has a working life that is around 10 times that of a traditional wooden pallet. 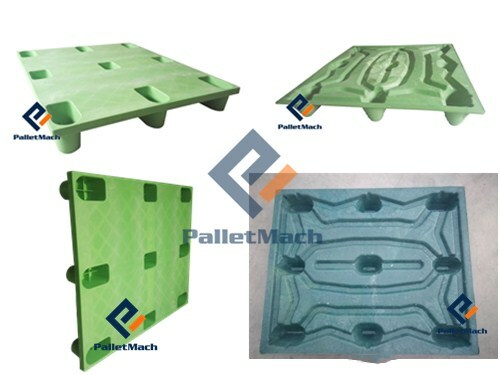 PalletMach is the leading plastic pallet manufacturer in China. And we have updated three generations of plastic pallet machine to solve the problems. Currently, our R & D department is experimenting with the pallet synthesis processes. Soon after, environmentally friendly, energy-saving molded pallets will be put into production. 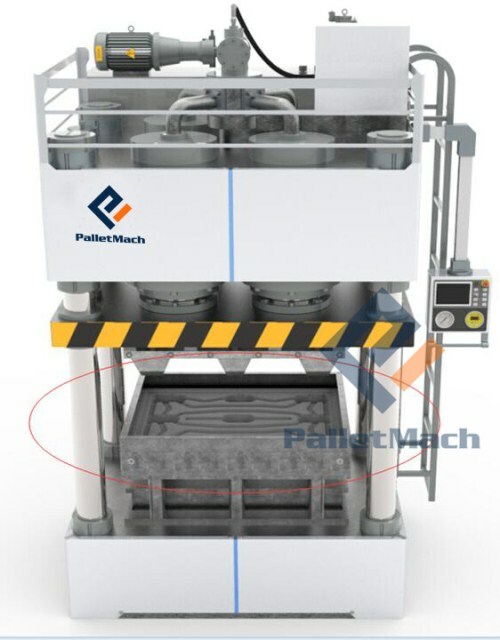 Hence, PalletMach will provide all customers with the formulations of better plastic pallets. 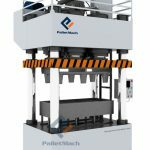 For more information about the advantages of pressed plastic pallet over their wooden alternative, contact PalletMach today. Our email is sales@palletmach.com.